661-0443,661-4485,661-4259,661-4339,6661-4269,For Apple Macbook pro(A1181,A1184,A1330,A1342). Note: This is the first generation of magsafe power adapter(L-Shape), not the second generation. Input: 100 - 240V, 50-60H Output: 16.5V 3.65A. 661-0443,661-4485,661-4259,661-4339,6661-4269,For Apple Macbook pro(A1181,A1184,A1330,A1342). 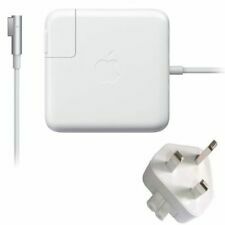 - Note:This is the first generation of magsafe power adapter (L-Shape), not the second generation. Wii to HDMI Adapter. Connector: magnetic tip 5 pin (L TIP) magsafe 1 tip. Note:This is the first generation of magsafe power adapter (L-Shape), not the second generation. -661-0443,661-4485,661-4259,661-4339,6661-4269,For Apple Macbook pro(A1181,A1184,A1330,A1342). (A1344, A1330, A1342, A1172, A1181, A1184, A1244, A1278,A133. Power: 60W. Note:This adapter do not work for Late 2012-2015 year version macbook. Such as battery, ac adapter etc. excluded.). Our 100% item locate UK Local warehouse. A1181, A1184, A1185, A1278, A1280, A1330, A1344. 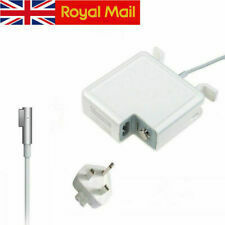 Genuine Manufacture Refurbished 60W Macbook Pro13" MagSafe 1. L Shape 60W Magsafe 1 Power Adapter Compatible List 661-0443,661-4485,661-4259,661-4339,6661-4269,For Apple Macbook pro(A1181,A1184,A1330,A1342). Macbook Pro Model No: A1181, A1184, A1185, A1278, A1280, A1330, A1342, A1344. Power: 60W Power Cable. An AC cord is provided with the adapter for maximum cord length, while the AC wall adapter (also provided) gives you an even easier and more compact way to travel. A1278 A1280 A1342 A1330 A1181 A1184 A1185 A1344. 661-0443,661-4485,661-4259,661-4339,6661-4269,For Apple Macbook pro(A1181,A1184,A1330,A1342). 9D EDGE COVER Tempered Glass Screen Film Protector for APPLE iPhone XS X 5.8". An AC lead is provided with the adapter for maximum lead length, while the AC wall adapter (also provided) gives you an even easier and more compact way to travel. 100% compatibility with the original. 661-0443,661-4485,661-4259,661-4339,6661-4269,For Apple Macbook pro(A1181,A1184,A1330,A1342). 60W Power Adapter L- Style. 60W - MC461CH/A. Total Output Power: 60W. 1X 60W Power Adapter L- Style. 661-0443,661-4485,661-4259,661-4339,6661-4269,For Apple MacBook Pro(A1181,A1184,A1330,A1342). Pin Size/ Type 5Pins Magsafe 1 with L-Shape Tip. Adapter Type UK Wall Plug Type Adapter. (1x Adapter. Such as battery, ac adapter etc. Includes power Plug. 1x Power Cord. We work with a good quality OEM supplier and factory. Help you and us save money greatly. excluded.). All item passed FCC / CE / ROHS certificates. Compatible With: A1278 A1280 A1342 A1330 A1181 A1184 A1185 A1344. Apple MacBook Pro MagSafe 1 13" 13.3" A1181, A1184, A1185, A1278, A1280, A1330, A1334, A1344, 661-0443, 661-3957, 661-4269, 661-4339, 661-4485, ADP-60AD, MA254LL/A, MA255LL/A, MA472LL/A, MA538LL/A, MA538LL/B, MA699LL/A, MA700LL/A, MA701LL/A, MB061LL/A, MB061LL/B, MB062L L/A, MB062LL/B, MB063LL/A, MB063LL/B, MB990LL/A, MB991LL/A, MC374LL/A, MC375LL/A, MC461LL/A, MC700LL/A, MC724LL/A, MD101LL/A, MD102LL/A, MD313LL/A, MD314LL/A. A1278 A1280 A1342 A1330 A1181 A1184 A1185 A1344. 661-0443,661-4485,661-4259,661-4339,6661-4269,For Apple Macbook pro(A1181,A1184,A1330,A1342). A1278 A1280 A1342 A1330 A1181 A1184 A1185 A1344. Apple won’t cover the warranty and they call them non genuine. Type AC/Standard Compatible Brand For Apple Brand Unbranded/Generic Max. Output Power 60W Output Voltage(s) 16.5V Current 3.65A MPN Does Not Apply Output Current 3.65A Manufacturer warranty 3 years Plug Size L-Tip Magnetic Dc Connector Compatible Model Apple MacBook 13" 13.3" MC461LL/A A1181,A1184,A1185,A1278,A1280,A1330,A1342,A1344 Compatible Product Line For Apple MacBook 60W: 1：Macbook Pro Charger,60W Magsafe L-Tip Laptop Power Adapter for Apple Macbook Pro 13-inch Model. GENUINE REFURBISHED. MAGSAFE 1 45W Power Adaptor . Apple MacBook Pro MagSafe 1 13" 13.3" A1181, A1184, A1185, A1278, A1280, A1330, A1334, A1344, 661-0443, 661-3957, 661-4269, 661-4339, 661-4485, ADP-60AD, MA254LL/A, MA255LL/A, MA472LL/A, MA538LL/A, MA538LL/B, MA699LL/A, MA700LL/A, MA701LL/A, MB061LL/A, MB061LL/B, MB062LL/A, MB062LL/B, MB063LL/A, MB063LL/B, MB990LL/A, MB991LL/A, MC374LL/A, MC375LL/A, MC461LL/A, MC700LL/A, MC724LL/A, MD101LL/A, MD102LL/A, MD313LL/A, MD314LL/A. This is your Chance to Purchase this Brand New Car Charger for your Apple MacBook Pro. Features a BONUS 5V 1.5A USB Port on the end to Plug ANY USB Cable in to Charge a Phone/Ipad/Ipod etc 60w Magsafe (for Macbook Pro ) Replacement Car Adapter. MagSafe Power Adapter is made specifically for your MacBook Pro It's held in place magnetically, so if someone trips over it, the lead disconnects harmlessly and your notebook stays put safely. Photos Below Show the Exact Item which Will Arrive - Why Buy From Us? - 1. Free Post is 1st Class. 2. If you Pay Before 2pm (Mon-Fri) then We Will Post Your Item on the Same Day, aiming for Next Day Delivery in the UK. 3. We always provide a Telephone Number for your to Speak to us (Mon-Fri - 10am-4pm) - (phone number below) Powered. A1181 A1184 A1185 A1330 A1278 A1334. Note: Compatible only with MacBook Air featuring 2012 new laptop series but not MacBook Pro. Apple MAC Macbook pro 13" 13.3". 1 x AC Adapter ( Rectangle). MA538LL/A,MA254LL/A, MA255LL/A, MA472LL/A, MA699LL/A, MA700LL/A, MA701LL/A, MB061LL/B, MB062LL/B, MB063LL/B, MB061LL/A, MB062LL/A, MB063LL/A. Power Specification: Input Volt Range: 100 - 240V 50 - 60Hz / Output: 16.5V 3.65A, 60W / Cord Length: 5.9ft(1.8m) / Connector: Magnetic L-shaped. Compatible with Apple MacBook Pro 13 A1278 Late 2011. Perfectly compatible withApple MacBook Pro 13 A1278 Late 2011, Green Cell AC adapter is built with the best quality materials. Series of safety assets increase charging stability and provide protection from short-circuit. Compatible with Apple MacBook Pro 13 A1278 Unibody. Perfectly compatible withApple MacBook Pro 13 A1278 Unibody, Green Cell AC adapter is built with the best quality materials. Series of safety assets increase charging stability and provide protection from short-circuit. 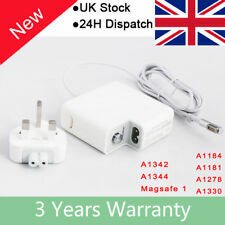 Compatible with Apple MacBook Pro 13 A1278 Early 2011. 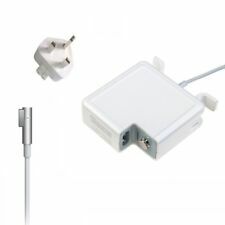 Perfectly compatible withApple MacBook Pro 13 A1278 Early 2011, Green Cell AC adapter is built with the best quality materials. Series of safety assets increase charging stability and provide protection from short-circuit. 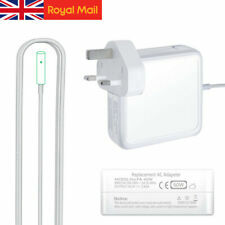 Compatible with Apple MacBook Pro 13 A1278 Mid 2012. Perfectly compatible withApple MacBook Pro 13 A1278 Mid 2012, Green Cell AC adapter is built with the best quality materials. Series of safety assets increase charging stability and provide protection from short-circuit.